This video features the answer to the question about prevalent notion that one should never leave the Guru from whom one has taken mantra deeksha. But what if he/she turns out to be a fruadster, asks the questioner. 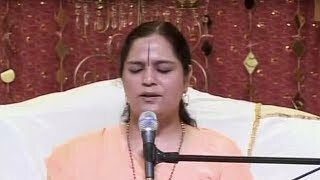 Addressing this revered master Anandmurti Gurumaa explains who can be a mantra Guru, who is a Sadguru and so on. And how it is our own limited perception owing to which we label someone a Guru without using viveka (sense of discrimination). In a way it brings to light who is not a Guru so that one can discriminate who is a Guru. Watch to know more. Connect with the master on Facebook/AnandmurtiGurumaa and Twitter@gurumaa.